Keep your pet happy and healthy with the help of our dog walking services in Charlotte. There is nothing worse for a dog owner than thinking about your dog being cooped up and lonely at home while you are at work or out of the house. Not only do we provide a variety of house cleaning services, but our expertise at Fiv5 Star Cleaning extends to pet care. We offer dog walking services to pet owners throughout the Charlotte, North Carolina area. With a busy schedule, it can be hard to take time out of your day to make sure your dog is getting the exercise he or she needs. We are happy to help! Our employees are available to walk your dog so that you can come home and enjoy time with a healthy, happy animal. We can help you ensure that your dog is looked after during the day, and can enjoy time exercising outside the house. Our employees are reliable and well-trained and will make sure your dog is treated to a great time in the outdoors. Fiv5 Star Cleaning is a local company. We know all of our staff personally, and each staff member is trained by the owner. This is one of the ways we ensure high-quality service that you can trust. We are dedicated to providing a suite of services from dog walking to babysitting to house cleaning to help make your life simpler. Contact us to find out more about our dog walking services in Charlotte. We are sure you will be pleased with our outstanding services and quality care for your home and family. 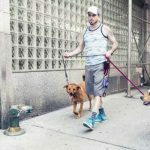 At Fiv5 Star Cleaning, we offer dog walking services in Charlotte, Concord, Cornelius, Gastonia, and Mooresville, North Carolina, as well as Rock Hill, South Carolina.